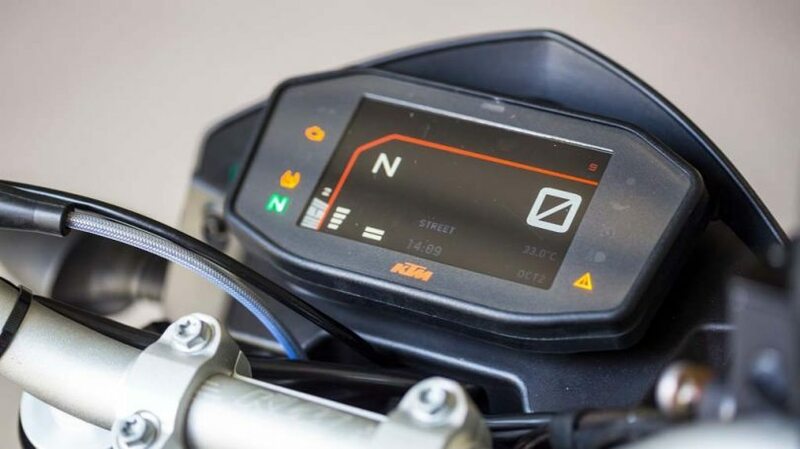 KTM promised us on getting all new Duke bikes for India in 2017. 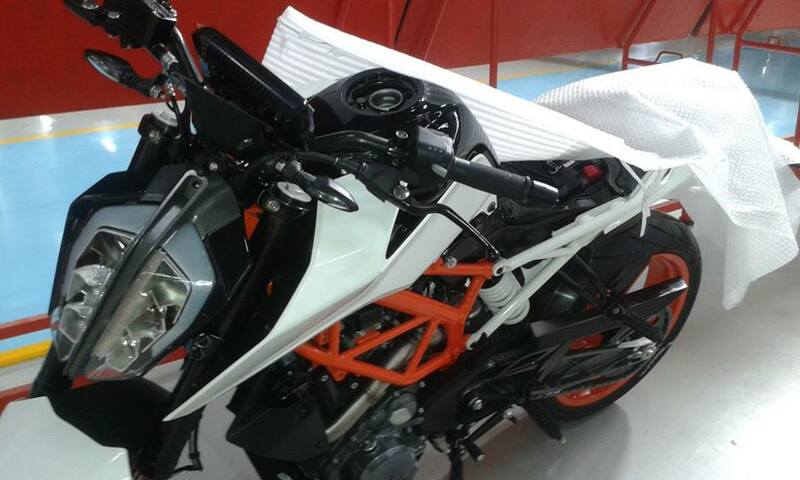 We have all come across spy shots and camouflaged images of the Dukes and KTM has now teased their newest baby ahead of its EICMA debut on November 8th. Biking scenario in India changed ever since KTM got us their Duke 200 and the Duke 390. Impressed with how good the bikes were, motorcyclists loved these bikes and the Dukes sold in huge numbers. KTM has now decided to change the game and introduce to us the all new 2017 Duke 390. 2017 Duke 390 comes with an all new design with bifurcated headlamps with LED DRL’s which look mean and angry. 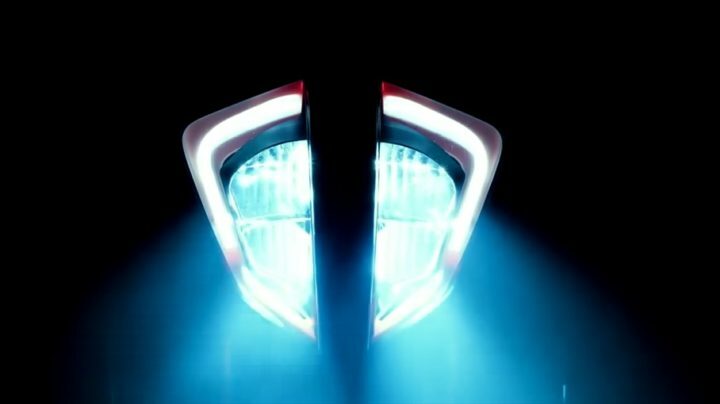 LED indicators remain the same and they are placed well above the headlight setup. The design on the Duke 390 looks mean and sharp. The chisel sharp tank adds to the aggressive looks of the motorcycle. Trellis frame setup is seen to have a dual tone (orange-white) color scheme which is different from the all orange color scheme on the present bike. New colors to be offered on the 2017 Duke 390. 2017 Duke 390 gets a revised tail section and the underbelly exhaust will no longer be a trend on the new bike. It gets an all new digital console which lets you sync your phone and use apps like MAPS on it. 3 Riding modes on the 2017 Duke 390 is expected. You can also connect your phone to the console via Bluetooth. Switch gear will be of better quality and the chassis is said to be reinforced for better rigidity. Engine and performance figures have not been disclosed but we expect the new Duke 390 to have more power than the existing motorcycle. Engine on the new generation Duke 390 will be the 373.2 cc liquid cooled engine which will be more refined and the power delivery will be a lot linear compared to the present one. Duke 390 will retain the ABS, WP suspension setup and the rear mono-shock, while the Metzelers make way for the Michelin tyres. Duke 390 will get ride by wire and slipper clutch as well. Since the 390 and the 200 will still be produced at Bajaj’s Chakkan plant for the rest of the world, the price of the new Duke 390 is expected not to exceed INR 2.50 lakhs. The launch is expected to happen during the first half of 2017.